The Indonesian wheat flour milling industry has continued to grow rapidly over the last decade and we have seen the demand for wheat flour grow at a rate of 5% annually. In 2017 the industry recorded a record flour volume of over 6 million MT consumed, which allowed Indonesia to take the top position as the biggest importer of wheat in the world. It is expected that the industry will continue to grow well over the next decade driven by an emerging middle class and the preference for more and more diverse, healthy and convenient diet. It is predicted that market demand which hit an all-time high of 25 kg/Capita in 2017 will rise to over 40 kg per capita in the coming years. This coupled with a population growth rate of over 1% makes the industry look very attractive. Having said that, in recent years the consumer of flour has become more sophisticated and demanding, requiring a higher quality product and a range of different types of flour to deal with a variety of applications. In addition to this, flour milling companies have to overcome a variety of other challenges in a highly competitive market, such as supply chain and logistics issues, volatilities in global commodities markets, FX risk management and operational inefficiencies. We perceive these challenges as opportunities. Bungasari Flour Mills was established in 2012 with the belief that with the local knowledge, capability and commitment we possess, we would be able to bridge the gap in the industry. 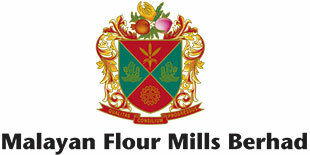 Bungasari is committed to produce only the best wheat flour with a product to fit every application. We use only the very highest quality raw materials and ingredients imported from every corner of the globe. We have also established advanced innovation facilities and built our factory with the most technologically advanced Equipment and process. This coupled with a team of experts, Bungasari has already become the leading of producer of a wide variety of top quality flours with the best value nationwide. We at Bungasari are also committed to contribute and encourage the people of Indonesian to live a better and healthier life by providing them with affordable nutritious products. This is reinforced by our team’s efforts to ensure we continue to produce the best quality flour, continue to improve our services and continue to build on our relationships with our partners and customers. Our culture instills the philosophy of ‘Kaizen - Continuous Improvement’ as the fundamental characteristic of every employee. Through ‘Kaizen’ philosophy, the company encourages all employees to always look for improvements and to find opportunities to make our company better in every aspect. We are confident that the continued determination and hard work our team will bring us step by step closer to realizing our vision of becoming the most prominent flour producer in Indonesia and help to make Indonesia healthier.